It’s time for another annual Thanksgiving Packing post! I’ve done these every year around this time since 2012 so that you don’t have to think very hard about what to pack during the holidays. You can see my past packing posts HERE. 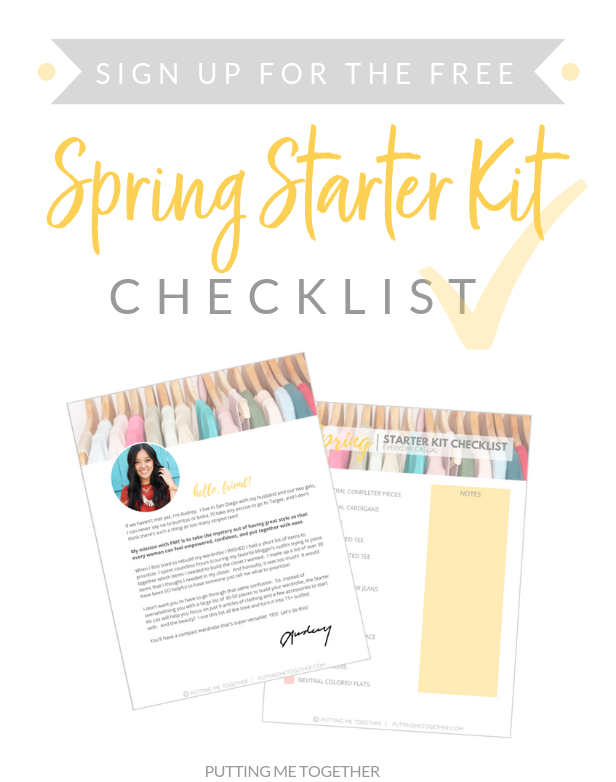 I typically use closet staples and favorites for the season, so I still love all the past packing lists even though they’re a few years old. I also more or less have all the pieces from the most recent few years! 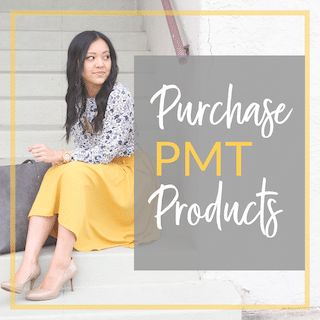 This year’s list is also full of pieces I love, and almost all of them were part of the PMT Fall Outfit Challenge that began earlier this fall. 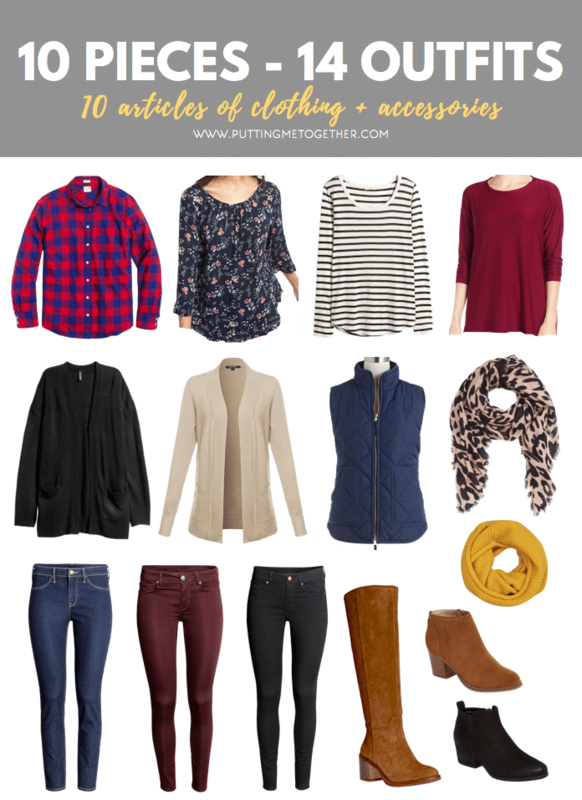 For newer readers, I started packing mini capsule wardrobes for trips because one year for Thanksgiving I packed in outfits in an attempt to not overpack, but none of my clothes went with anything outside of its designated outfit. Once I was on my trip, I absolutely hated the outfits I packed and didn’t want to wear them. Since nothing could go with anything else, I was stuck with the outfits I brought and hated. On top of that, I actually didn’t have appropriate clothing for some unplanned activities on the trip. 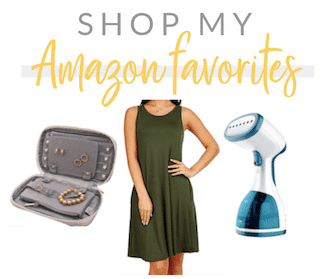 For a week I was stuck with a suitcase full of clothes that I either didn’t want to wear or couldn’t wear, and I felt trapped with no options! Packing mini capsule wardrobes give me tons of options without overpacking. It’s the best! Instead of being limited to set outfits, I have a mix and match suitcase full of outfit options for whatever I want to or need to wear that day. 4 tops – Usually I pick two solid tops and two printed ones, but this year I went for 3 printed tops. 3 different colored bottoms – skirts, pants, shorts, etc. Usually I want each bottom to go with at least 3 out of 4 tops, and even better if they each go with all the tops. That will help you maximize your outfits. This year I broke my rule since the maroon bottoms only go with two of the tops! 3 completer pieces – The more different they are from each other, the more varied your outfits will look. For example, a vest provides a much different feeling for an outfit than a cardigan while two cardigans of different colors might feel the same after a while. 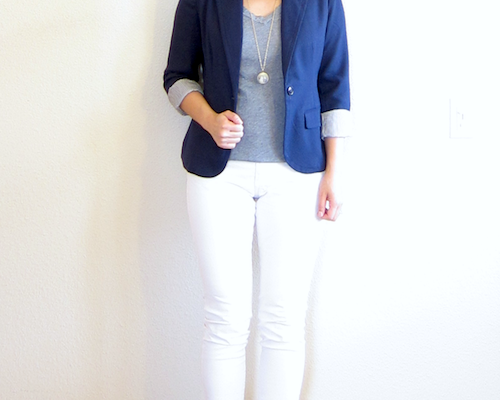 And a blazer makes outfits much sharper than cardigans do. Not always, though! If you don’t care as much about outfit variety then it doesn’t matter either. This year I used two cardigans because I don’t think I’ll find myself in a situation where I’ll need to be more dressed up. If that were the case, I’d swap one of the cardigans for a blazer in the same color. 1-2 scarves – Usually one printed and one solid, but it doesn’t matter. A handful of necklaces – Some years I rely heavily on necklaces and if you bring some colored necklaces, boy do they really change the looks! This year, however, I used necklaces minimally. Jacket (not shown). I always only bring one jacket when traveling to save my precious suitcase space. Jackets are bulky! Duration: 7 days. I want to clarify that while this could be used for a 14 day trip, I personally would probably not use this list for a 14 day trip slotting one outfit per day. 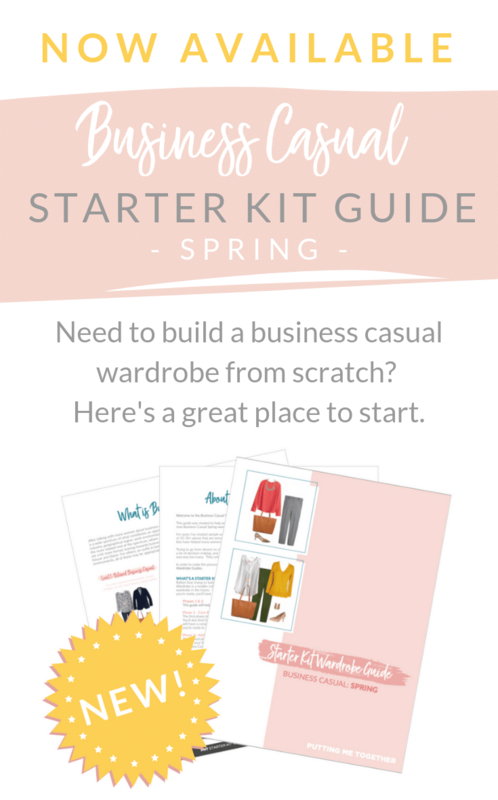 Using this list that way would only put you back in the trap of having set outfits and doesn’t give you margin for things to get dirty, not having the right outfit for the right occasion, or the weather not cooperating with your planned outfit for the day. 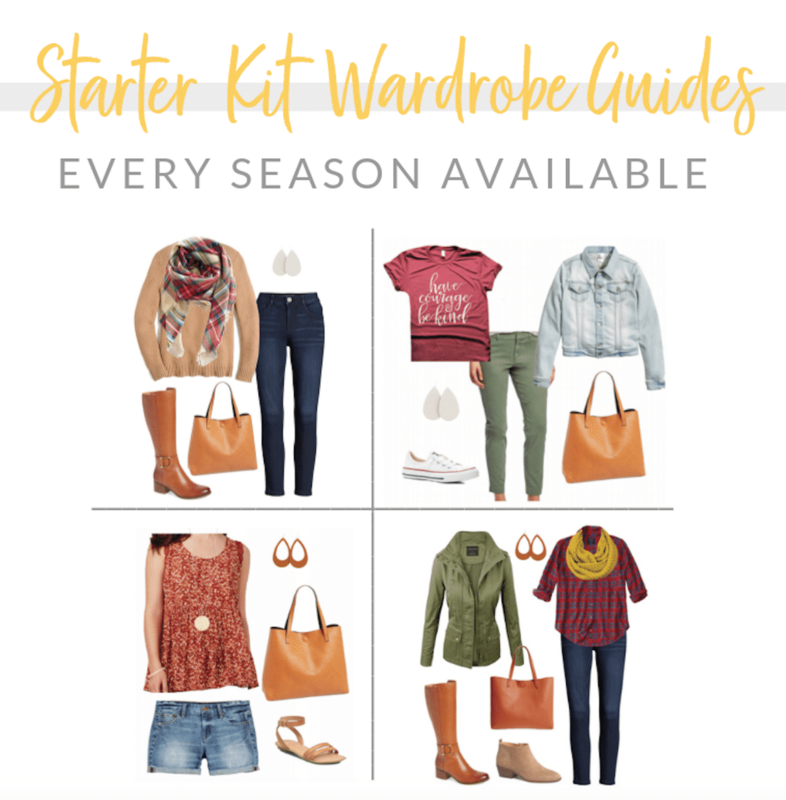 For me the point of this is to have some options for those unexpected times, so I can be ready for getting spilled on, the weather changing, or unplanned activities–without packing half my closet for all of those “just in case” events. I would pack this for a 7-10 day trip, but not a 2 week trip. For a longer trip, I would pack 1-2 more tops which will go a very long way. Also, maybe one more completer piece, like a pullover sweater or some sort of structured jacket like a utility jacket or blazer. 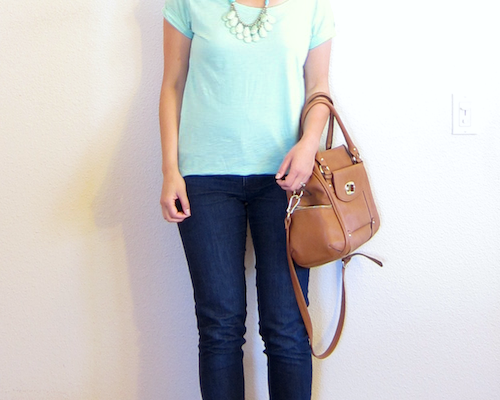 I have a style question: how do you keep your black jeans from fading? Is there a specific way you wash them? I know, thanks. 😕 can’t figure out what to do about it. RSS says it’s connected so we can’t figure it what it is about feedly specifically. I just ordered one of the mustard scarves you linked and can’t wait to pair it with some similar outfits you suggested. Hoping to sell a few maternity things at a consignment store next week in hopes of off setting some of my shopping, lol! Yay, glad this is helpful!! Another cardigan totally works. Any completer piece! I love the mustard scarf but that color doesn’t work for my coloring especially so close to my face. However, all the other tops work well for me and I have similar experience pieces. 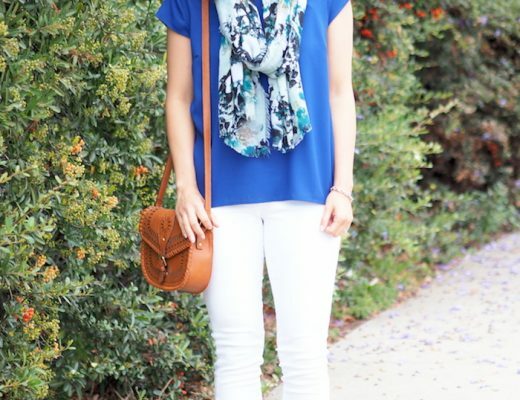 Is there a second color scarf that I could use for a pop of color instead of the mustard? Thanks so much! I love your blog and have learned a lot from it! Cream or white could work! So glad to hear the blog has been helpful for you! Hello! Can you tell me where the shirt came from in pictures 4, 9, and 10? I’m sorry if it is stated somewhere and I missed it! Thanks! It’s from LOFT but sold out. Thank you so much Audrey, I don’t have all the pieces, but I have enough to give me a starting point and filled in the rest by adding in a couple of my own favorites. My family basically lives on the road (being in the same place for a maximum of 2 weeks for the last year) and I have become SICK of living out of a suitcase. My teen daughter and I have to share one case and this has made our thanksgiving trip so much easier to pack for. Quick question: What purse/bag are you using for these outfits? Also, I really wish I had a mustard scarf. I would never of thought to pair it with those (or actually anything at all) but you have sold me on mustard. I don’t have a budget for one unless I find it at a thrift store… but here’s hoping! Hi Becka! I’m so glad to hear this has been helpful for you. Living out of a suitcase can be so difficult for so many reasons! I can’t even handle it for 3 weeks total, much less as a constant thing! The bag I use for these outfits is my Nordstrom tote. It’s cognac, and it’s actually reversible so you can flip it inside out for a different color, though I actually never do it because I’m always content with cognac. It comes in different color combos also. There are some mustard scarves for like $10-$12 on Amazon. Some are itchy and some are not, so you’ve just gotta read reviews to find them. Or you can have a friend knit one for you! Just got back and the wardrobe worked perfectly- even without the muchly desired mustard scarf! Love the outfits!! So excited I have most of the pieces. I have a week long trip to Chicago first part of December. I’d love to some how incorporate these outfits, but I’m afraid I need something a little warmer. I was wondering when the winter challenge starts? Thank! Hi! Have you seen my post on how I layer in the winter? I talk about how i dresses on trips to Chicago in the winter. 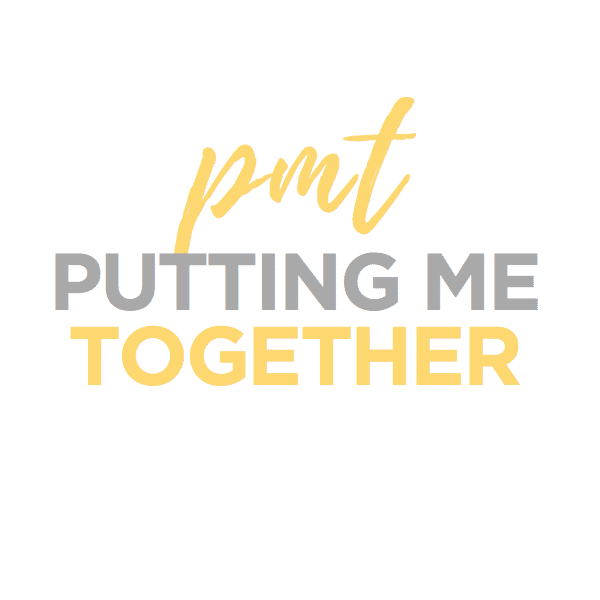 https://www.puttingmetogether.com/how-to-stay-warm-in-the-winter-and-look-cute/ The winter challenge won’t start until January! Thank you so much!! I found the posting after I had left this comment 🙂 and I have already ordered 3 of the Heattech tees. They were sold out of the extra warm but the ones I ordered were only 9.90 each…score!! I can’t wait until January! This is maybe my favorite post you do all year! Thank you!! !